Aimes Media and Ariztical Entertainment recently released information for the upcoming DVD & VOD release of "The Surface". The film stars Australian model Harry Hains, Michael Redford and Nicholas McDonald. Special features on the DVD includes behind the scenes interviews, set videos, a "Barcelona" music video and trailers. "The Surface" hits stores on December 15th. 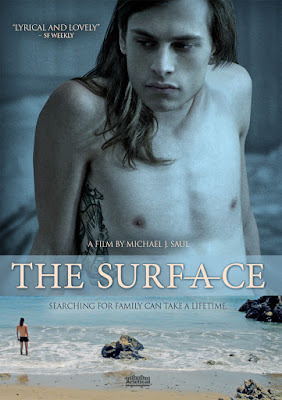 Aimes Media and Ariztical Entertainment are excited to announce the December 15th DVD and VOD release of Michael J. Saul's The Surface. Following a world premiere at Frameline, the San Francisco International LGBTQ Film Festival, The Surface has captivated audiences and critics at screenings nationwide. The December 15th DVD release (SRP $24.95) of The Surface will exclusively include behind the scenes interviews, set videos, a "Barcelona" music video and trailers.